This review originally appeared in Critics at Large November 2. 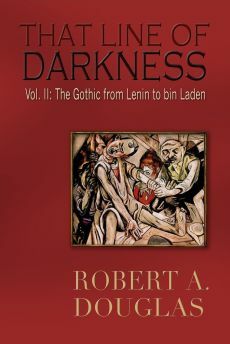 I include on this website because I wrote a chapter on the Cold War in That Line of Darkness: The Gothic from Lenin to bin Laden (Encompass Editions, 2013). In April 1957 the distinguished Canadian scholar and diplomat, Herbert Norman, committed suicide by jumping from a roof in Cairo. Canadian-born to missionaries working in Japan, he joined External Affairs in 1939, and during the crazed atmosphere of the early 1950s, he was subjected to a thorough security inquiry by the RCMP, largely because of his left-wing sympathies when he attended Cambridge University during the 1930s. Even though he was vindicated, the Mounties passed on his file to the FBI. His name came up in testimony before the Senate Internal Security Subcommittee (SISS) and again he was given a clean billing. His boss at External Affairs, Lester Pearson, appointed him as Ambassador to Egypt to serve as a conduit between Gamal Abdel Nasser and the West during the Suez Crisis. SISS revived the Norman “case” and to avoid another humiliating security inquiry, Norman took his own life setting off a firestorm of anti-American feelings in Canada. 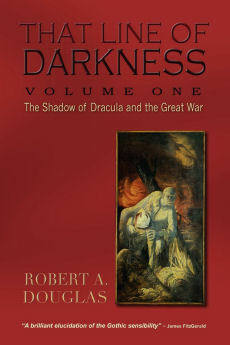 In 1986 two purportedly scholarly books were published that were diametrically opposed in approach and conclusions: Innocence Is Not Enough: The Life and Death of Herbert Norman by Roger Bowen and No Sense of Evil: Espionage, The Case of Herbert Norman by James Barros. The titles tell us much about the perspective of the authors. Reviewers generally praised Bowen’s offering as a defence of Norman’s integrity and explained his death as a response to the slanders that he had to endure that left him with “no refuge but suicide.” Barros’ thesis that Norman was an agent of the Soviet state “planted in the Canadian diplomatic service” was largely excoriated. In the Canadian Forum, Reg Whittaker reviled No Sense of Evil as a “disgrace to the best tradition of scholarly inquiry” because Barros was not able to present a single piece of evidence to prove that Norman engaged in espionage, was guilty of disloyalty or treason. Yet the Norman controversy did not end here. Barros and MPs supportive of his polemic put such pressure on the government to pursue an independent inquiry that Joe Clark, then Minister for External Affairs, appointed Peyton Lynn, a former diplomat and retired academic, to conduct an investigation in which he was given access to all relevant documents. His report completely exonerated Norman of any wrong doing and proclaimed him a loyal Canadian public servant. This preamble is by way of introducing the absorbing Mr. Jones (Goose Lane, 2014), the most recent offering by the accomplished Winnipeg dramatist, singer-lyricist and award winning novelist, Margaret Sweatman. Herbert Norman is a minor character but his spirit hovers throughout the novel to the extent that Emmet Jones becomes a doppelganger to Norman. Sweatman does alter her profile of Jones to alert the reader that he is not a carbon copy of Norman. For instance, Emmet was pilot of the Bomber Command during the war that devastated German cities, killing thousands of civilians. When he returns to Japan to work for the External Affairs Department, his observations of a fire-bombed burnt out post-war Tokyo trigger nightmares of his consuming dead flesh. And his personal relationship with his wife Suzanne and their young daughter, Lenora, perhaps the most intuitive character, is fictional. Nonetheless like Norman, Emmet was born to Canadian parents working in Japan. He develops a special interest in Asia, particularly Japan. Reading Marx is a source of pleasure for him because the writer speaks directly to his personal alienation. He also develops (along with his future wife) an intense personal relationship with the charismatic Communist, John Norfield, a friendship established during their halcyon university days, an admiration that deepens after his return from being a POW in Hong Kong. It is the mysterious Norfield who casts a long shadow over their lives in Ottawa. The relationships that develop among these three characters truly form the narrative arc, their loyalties to one another as well as their betrayals. But it is the connection between Emmet Jones and John Norfield that renders the former a target of suspicion for the RCMP who are intent on conducting a security inquiry given Jones’ sensitive position as a civil servant in External Affairs. When Jones thinks he has been cleared, he is understandably upset when he hears that his file has been turned over to the FBI. Espionage and the fear of the traitorous Communist within becomes a central undercurrent that percolates beneath the seemingly placid surface of ordinary life. We are set up to believe that the guilt by association that destroyed Norman will play itself out with the eponymous Mr. Jones. Yet we wonder at what point idealism can bleed into something darker. One of the pleasures of this novel is Sweatman’s vivid evocation of the fear and paranoia that pervaded the Cold War from 1946 to the early 1960s. Suzanne, the privileged belle from Forest Hill, reads John Hersey’s major article in The New Yorker about the effects of the atomic bomb dropped on Hiroshima that deeply shocks her. When Emmet is stationed in Tokyo, he is able to observe first-hand the fighting and devastation of the Korean War, a tableau that contradicts the official version. We are reminded of the deeply held belief among both Americans and Canadians that expressions of dissent are equated with disloyalty, the turbulence in South East Asia that is edging toward the Vietnam War, the beginnings of the Communist revolution in Cuba and the visceral fear of nuclear annihilation during the hyper-tense Cuban Missile Crisis. Along the way, we are treated to memorable cameo appearances by the envious and befuddled John Diefenbaker who takes a shine to Mr. Jones, the imperious Douglas McArthur who emphatically does not, and the fearful Herbert Norman who warns his younger colleague to avoid mentioning his name or referring to him in any document. 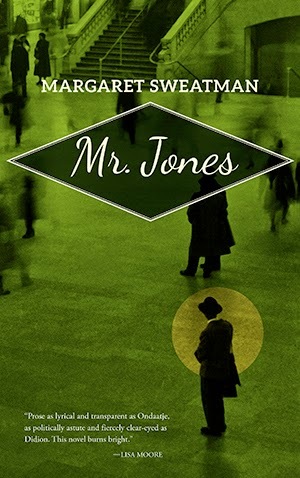 In this fine novel in which surveillance is pervasive, hysteria threatens to override reason, and public and personal lives become inseparable, Mr. Jones may be the excavation of an historical era but it has as much to say about our times as it does the Cold War. 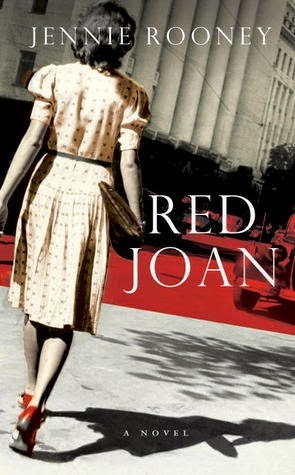 Like Mr. Jones, Jennie Rooney’s third novel, Red Joan (Chatto & Windus, 2013) was inspired by a real-life personality, the spy Melita Norwood, who was unmasked in 1999 at the age of 87 as Britain’s longest serving spy for the KGB. She worked as a secretary at a London research institution engaged in investigating the components of nuclear technology, and while there, she passed information to the Russian secret service. 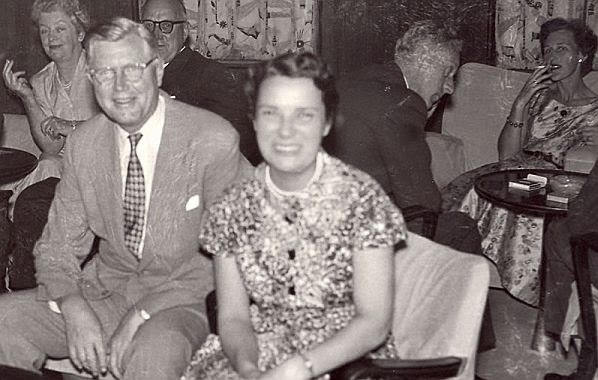 At one time, she was considered to be more important to the Soviets than the notorious Kim Philby, “a disciplined and reliable agent,” Norwood likely evaded suspicion for so long because of her gender. At the outset of Red Joan in 2005, Joan Stanley is an elderly woman visited by the British Security Service, that inform her she will be outed as a Soviet mole in the House of Commons in a few days’ time. As she is interrogated, the questions prompt her to relive her life and her loves and the complex reasons for her actions. Through flashbacks Joan returns to her time at Cambridge in the late 1930s where, as a physics student, she attended meetings in support of the Soviet Union. There she met the idealistic and charismatic Leo Galich and his glamorous cousin Sonya, both communist sympathizers. As the MI5 interrogators press for a confession, Joan reminisces about falling in love with Leo, working at the Metals Research Facility, where because of her scientific degrees, she is hired as a personal assistant at the laboratory in charge of the U.K. portion of the nuclear project. Leo asks her to smuggle secrets out for the Soviet government. He argues for parity on the grounds of deterrence. If Soviet Russia also has nuclear capability, the Allies would never use their own. But Joan refuses to oblige him and remains loyal to her country; she is convinced that the threat of mass destruction is enough to end the war. Hiroshima changes everything for her. After the horror visited on that city, she believes that the Soviets will be attacked next. In her mind, passing on technical details about the bomb—“sharing, rather than stealing,” she tells herself—will make the balance of power “fair.” Despite having signed the Secrecy Act documents, she rationalizes that her treason will serve a higher purpose by contributing to the greater good. Her delusions are shaken after she makes the fateful decision to become a Soviet spy. Only then does the guileless Joan grasp the true nature of her new masters – but it is too late to reverse course. If the historical Norwood remained a dyed in the wool communist throughout her life, Rooney’s Joan harbours reservations about the “Great Experiment” as she realizes that the Soviets dispensed with their most loyal adherents when they became no longer useful to them, and that personal friendships will be sacrificed if they impede the cause. Despite Joan’s betrayal, Rooney’s portrayal of her is sympathetic and this quality is one of the strengths of this riveting novel. In the present scenes, Joan is joined by her middle-aged QC son, Nick, who initially perceives the interrogation as a huge travesty of justice until the truth of the government’s case finally sinks in. Shocked, angered and with years of hindsight, he cannot understand why his mother would be so naïve to turn over secrets to the tyrannical Stalin. Did she not recognize that she was being manipulated and exploited by her so-called friends? It is through their heated and emotionally exhausting conversations that the reader comes to understand Joan’s complicated and conflicting motives—that the times were different then, that what happened at Hiroshima was searing moment for her politically-engaged generation—that she was spurred by idealism and the (forlorn) hope that Leo would reciprocate her love when the cause was his only love. Ultimately, she finds reciprocated love with her boss Max even though her political betrayal nearly costs him his reputation and freedom. Strange as it may seem, Rooney sometimes makes us feel more empathy toward Joan—even though we cannot condone her treachery—than toward Nick and the MI5 security agents; his arguments may be more compelling and the evidence for their case is insurmountable. And yet context is important and cannot be ignored. The times were different then. We should feel revulsion toward Joan but we cannot; our emotional responses are complicated. Like Mr. Jones, Red Joan is not an action-packed thriller, but a character study, a psychological and moral tale with conundrums that encourages the reader to ponder the difficult choices that they are sometimes forced to make under trying circumstances.